Who else like me is addicted to etsy? I have ordered so many creative things since its inception. There are so many delightful and creative folks out there in etsyland. 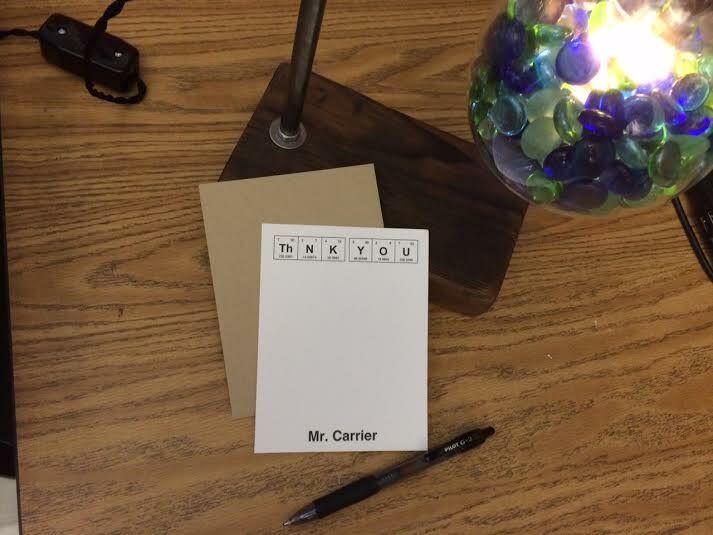 I have been wanted personalized thank you notes to use at school. Because I teach at a very affluent school, gifts come at various points in the year. 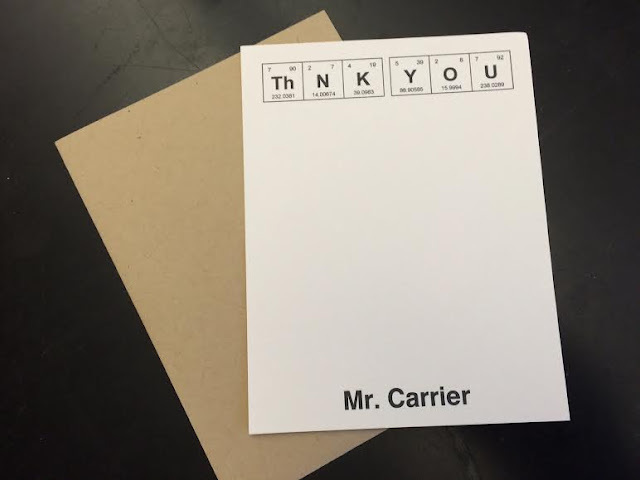 I envisioned thank yous with a science twist, and I set out on etsy to find the perfect card. 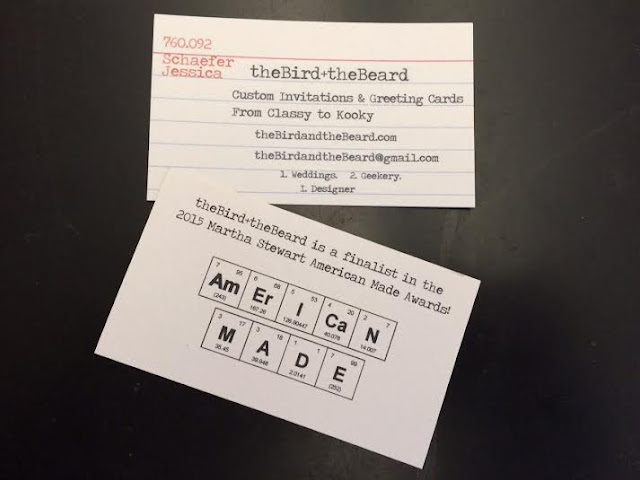 I contacted Jessica at the Bird + the Beard for a custom order, and she could not have been more accommodating. I also appreciated how fast she worked and how quickly I received the order. I have already put them to good use. 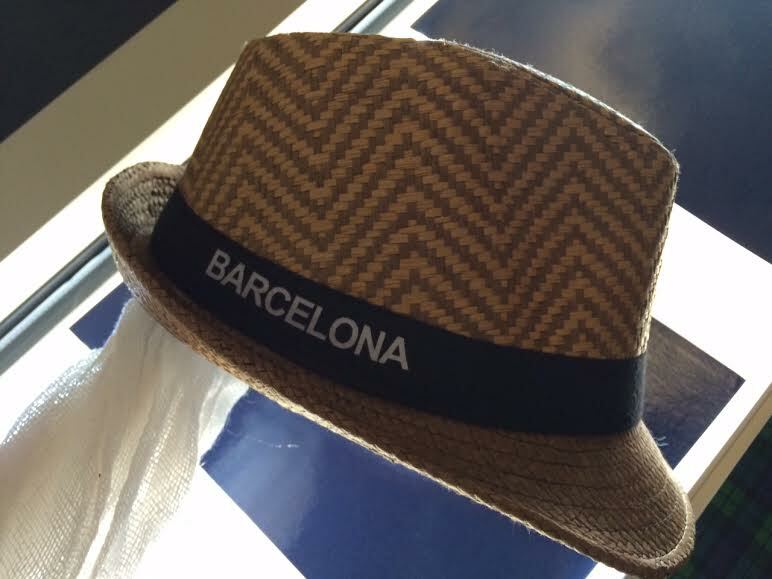 I received a great chapeau from a student's travels to Europe this summer (I did say most were affluent.). 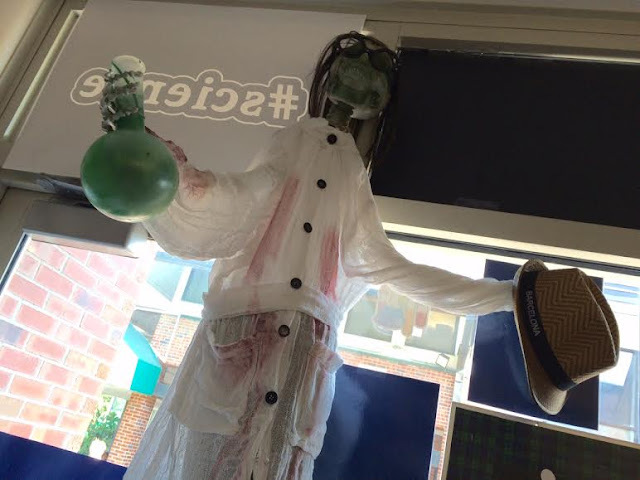 The hat from Barcelona is awesome and hangs from our classroom skeleton. Another student gifted me with two delicious cupcakes. 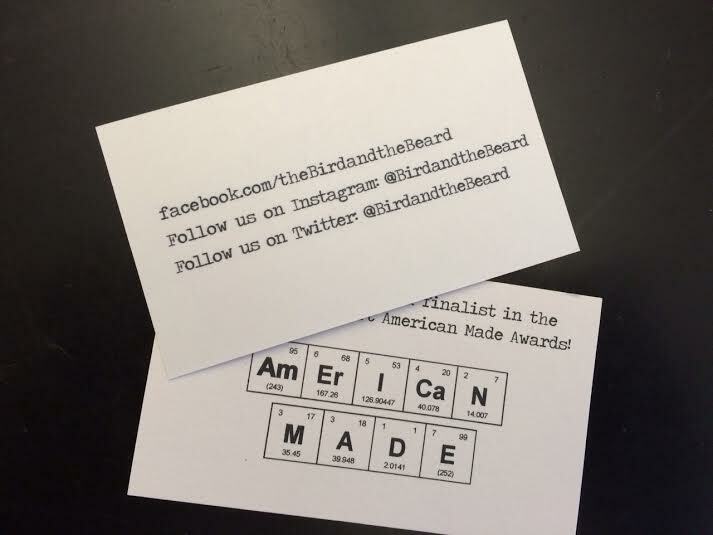 Check out the Bird + the Beard on facebook/instagram/twitter. the Bird & the Beard, y'all! 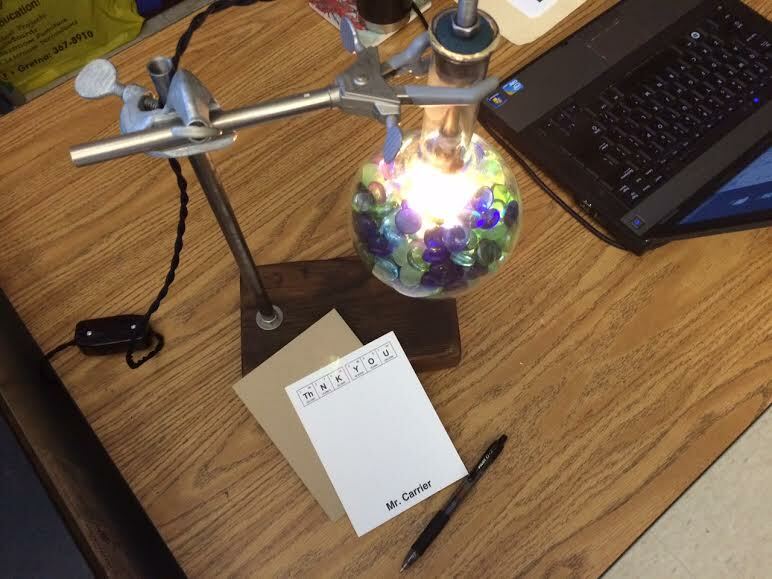 I'm sure you are a terrific teacher to get such great gifts! Love the notepad! These are perfect for you. Awesome! What great thank you notes! 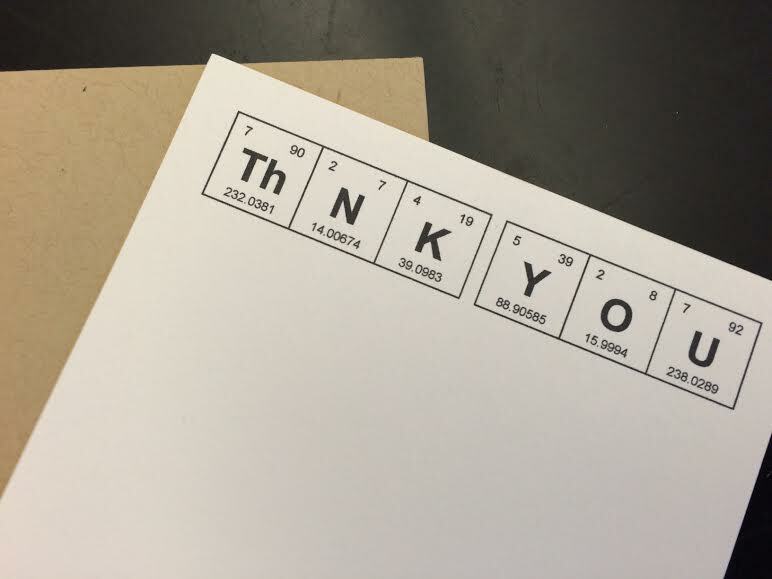 Love those thank you notes.